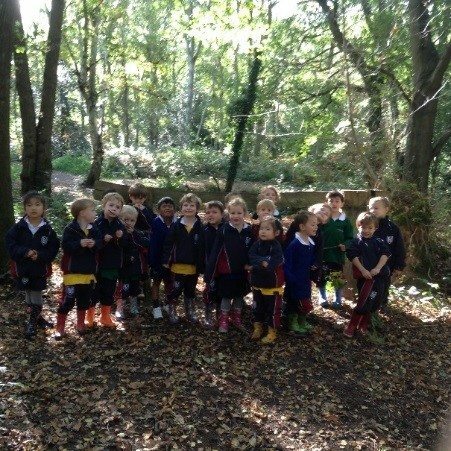 On Thursday, our Reception children went on the first of their Seasonal Walks to Arbrook Woods. We looked at our surroundings and took note of the changing colours of the leaves, the acorns on the floor and made our own ‘Autumn Nature boards’. Once inside the woods we crunched our way through the falling leaves to a clearing where we used twigs, moss, leaves and acorns to make faces and shared our ideas with each other. What a great way to start the new season of Autumn!